The contact center as we know it has evolved tremendously over the past several decades. What was once a sporadic collection of in-house “phone rooms” is now defined by sprawling campuses, advanced analytics, and cutting-edge telecommunications and business solutions delivered across multiple industries. Amid this evolution, contact centers did what they were known for: they responded and adapted. But in today’s hyper-digital and rapidly changing world, it’s no longer enough to respond and adapt. You have to anticipate. As operations leaders, it is our challenge to anticipate emerging trends and evaluate how they will influence our ability to deliver services, to train and engage our team members, and to embrace technology. With business moving at the speed of light and new solutions always around the corner, we must constantly balance what is new and trending with what makes sense for our stakeholders, whose needs are diverse and, at times, differential. To that end, the following is a collection of emerging trends that have the potential to significantly impact contact center operations, along with key considerations for evaluating their benefit and long-term viability. Remote employment, while not a new concept, bears discussion given its potential to achieve leaner operations and recruit talented agents who require flexible work arrangements. Technology has made it possible to route calls, monitor key metrics and assure quality for agents working virtually anywhere, which can eliminate hard costs without sacrificing the customer experience. Given the financial benefits and relatively low risk, it can be tempting to go all in on a remote-work policy. But prior to making any decisions, several considerations must be made. First, avoid making assumptions about the value your team members place on working remotely. While some of your agents will appreciate the opportunity to work remotely, others may prefer a physical work environment or require personalized attention if they are to be productive. While having a flexible workforce will save on the P&L, it may inhibit your contact center’s ability to secure future work, especially if that work requires the management of sensitive data or confidential information. Consider only opening remote-work opportunities to high-performing agents who have earned your trust and have demonstrated their value. Next, set clear expectations up front, underscoring that some programs will be allocated only to staff working within the four walls of the contact center. A transparent approach may help eliminate potential HR disputes. The advancement in contact center technology has significantly changed the way we do business. Sophisticated IVR capabilities help us reduce talk and on-hold times; artificial intelligence (AI) allows us to achieve customer resolution without ever picking up a phone; and new technology infrastructure has eliminated the need for landlines altogether. As our industry continues to be transformed by new technology, our job as leaders is to evaluate its efficacy, assessing the potential impact on operations, profitability and—most importantly—end users. When introducing new technology into the contact center, managers must anticipate and plan for resistance, both from team members and customers. Agents may lack the confidence to adopt the latest technology, and customers may have very specific expectations about what they want from their contact center experience (and it may not involve technology at all). These challenges require a specific and well-constructed approach. Managers should ask themselves how they can engage high-performing team members to achieve a more seamless implementation of emerging technology. Questions like the following will help contact center managers assess whether their operations can support new technology: Will this new technology assist or encumber agents on a day-to-day basis? Can we allocate resources for formal training sessions prior to implementation? How can our agents help us understand the impact this new technology will have on our customers? Additionally, whenever possible, new technology should be rolled out as a complement to—not a replacement for—existing systems and processes, which will give agents and customers time to familiarize themselves with the change and, over time, recognize and appreciate the benefits it brings. As baby boomers continue delaying retirement and more young people head straight into the workforce, our contact centers are more generationally diverse than ever before, as are the customers we serve. This diversity spurs considerable differences in the communication preferences of employees and customers. While no one generation can (or should) be stereotyped, overarching generational partialities do exist. Baby boomers and Gen Xers tend to value person-to-person interactions, while millennials overwhelmingly prefer electronic communication. This dichotomy presents a distinct challenge for leaders charged with catering to the multiple preferences of internal and external audiences. Leaders should consider how they can support a multichannel approach to communication. Routinely assess the preferences of your agents and managers, and utilize different vehicles of communication accordingly. For example, a quick note of feedback or even praise can be emailed to a millennial agent to the same effect as a formal sit-down, which he or she may deem wholly unnecessary. Conversely, older employees might crave face time with the management team, and providing that could be critical to their engagement and success. Externally, it’s our job to ensure our agents are sensitive, effective communicators. This can be accomplished through formal communication training and cross-generational mentorship, but it must be reinforced in our day-to-day operations by maintaining a culture that fosters respect and compassion at all levels. It was long believed that employees were motivated by one thing: financial gain. In recent decades, however, managers have recognized the value of employee engagement as a way to enhance commitment and reduce turnover. While traditional engagement programs are important, agents have begun to request from their organizations a more substantive approach to engagement—one that extends beyond free lunches and giveaways—as a way to build and sustain their loyalty. From the team members’ perspective, the contact center environment is often marked by structure and inflexibility, making employee empowerment a challenge. Managers should consider how they can enable employees to have a sense of control over their work environment. Simple decisions such as when to take their lunch, how to structure their schedules and PTO, or whether to step away from their desks without consequence can go a long way toward driving engagement. Moreover, to be truly engaged, agents need to know they are valued and their work will lead to something greater. Managers should provide a clear and transparent succession plan, create opportunities for employees to cross-train, and allocate time for one-on-one coaching sessions with managers, all of which can be key workforce motivators. Training is arguably one of the most important functions within the contact center. Successful training programs prepare agents to become the face of an organization, but they require a considerable investment both in time and company resources. Online training can help alleviate that burden, especially when centers are faced with strict deadlines and tight budgets. Before launching an online training program, consider the potential drawbacks. If training is done exclusively online, managers run the risk of losing talented recruits who prefer a more formal learning experience. Further, online training can be unidirectional, making it hard for the company to assess progress and solicit real-time feedback. But successful online training can be done. Online modules should mirror traditional, in-person sessions, catering to multiple learning styles by providing participants the opportunity to learn via hearing, seeing and doing. Additionally, opt for a platform that allows for the presence of digital moderators, who can answer questions in real time and help facilitate a more organic learning experience. Whenever possible, supplement online training sessions with short, in-person modules. While the bulk of training can be done digitally, gathering a training group together can be beneficial on multiple levels: hard skills can be further developed under the direction of a live facilitator; readiness can be more comprehensively assessed; and trainees may begin to establish a rapport, which is critical to promoting teamwork in the contact center. Data security and privacy concerns have never been more real. As technology continues to infiltrate contact centers, maintaining secure operations will remain a paramount concern for managers. 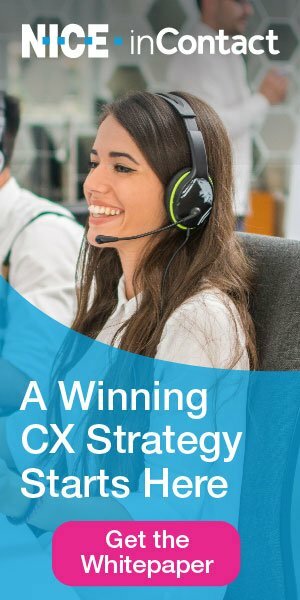 It is no longer sufficient for contact center managers to discuss password safety during onboarding and then move on; they need to remain vigilant of the innovative techniques used to infiltrate networks and systems. Managers should consider the little-known or emerging trends that make operations vulnerable. For example, the popular questionnaires about an individual’s favorite pet and nickname circulated on social media used in conjunction with an online professional networking profile can be leveraged by hackers to gain access to your company’s password-protected networks. Employees who wear their name badges after hours expose their companies to unnecessary risks, even if unintentionally. Managers can stay ahead of these risk management concerns by creating an organizational culture that promotes and values safety at all levels. Make risk management a part of every formal discussion, look for opportunities to praise and reinforce smart behavior, and empower agents to hold one another accountable. Security starts at the top, but it’s maintained throughout every level of the organizational structure. The contact center’s success has long been grounded in its capacity to respond and react apace with the changing needs of its clients and customers. But technology has fashioned an industrywide reality where the only constant is change, so it’s not enough to respond and react. A contact center manager’s challenge in 2018 and beyond is threefold: to anticipate the latest trends and innovations driving the creation of smarter, leaner and more efficient operations; to vigorously analyze, scrutinize and evaluate how those trends and innovations will impact agents, clients and customers; and to make operational changes thoughtfully and in a manner that preserves our credibility, creates value for our clients, and sets us up for long-term success.